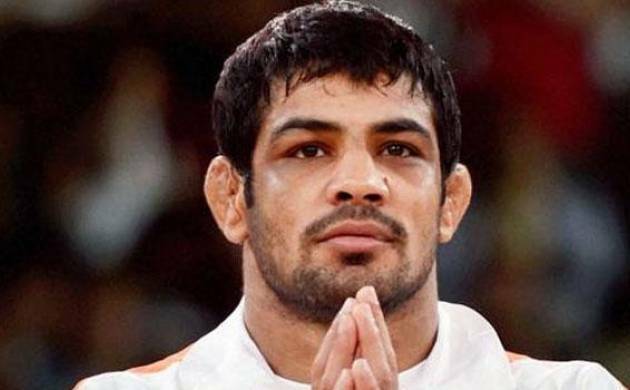 His plea for selection trial dismissed by the Delhi High Court, double Olympic medallist Sushil Kumar will again approach the Wrestling Federation of India in his final quest for competing at the Rio Olympics before deciding on whether to challenge the verdict in the Supreme Court. The Delhi High Court today dismissed Sushil’s plea for a trial, observing it may “jeopardise” the chances of selected candidate Narsingh Yadav and the country would be the “loser”. Justice Manmohan acknowledged Sushil’s feats in the international arena and termed him a “legendary wrestler” in 66kg weight category but did not allow him to have a chance to compete for the Olympic berth in the 74kg category. “We will try our best. We would be speaking to the Wrestling Federation of India (WFI) once again and urge it to hold a selection trial. But if that doesn’t work, we may approach the Supreme Court, as Sushil is the best bet in 74kg category and he must get a chance to show that he is not only capable of going to the Olympics but also winning nothing less than a gold medal there,” a well-placed source close to Sushil told PTI. Sushil’s mentor and father-in-law Mahabali Satpal, meanwhile, said he was upset with the verdict as he felt that the former world champion was in the form of his life and he should not be denied a chance to at least get a trial. “Right now Sushil is the fittest ever. He is in the form of his life. His current weight is 78kg and during the training sessions, he is regularly beating wrestlers not just in 74kg category but also in much higher divisions. He has recently beaten a national level wrestler in 120kg category,” Satpal said. Narsingh had secured the Olympic quota place for India last year at the World Championship in Las Vegas after winning a bronze medal. Since then the Maharashtra grappler has been staking claims for the berth and the WFI had been steadfast in its stand to send Narsingh to Rio since he had grabbed the quota. Going by norms in WFI guidelines, a quota belongs to the country and not to an individual wrestler, and former world champion Sushil pointed out that there should be a trial in 74kg category to decide who would go to Rio. The 33-year-old, who had won a bronze medal in 2008 Beijing Olympics and followed it up with a silver in 2012 London Games, had moved the court seeking directions to WFI to hold selection trials. Sushil had won both his Olympic medals in 66kg category but had to move up to 74kg after the International Wrestling body (FILA) rejigged the weight divisions post the London Games.